Dukes Education comprises a number of schools acquired through a buy and build model and has developed rapidly over the last three years. 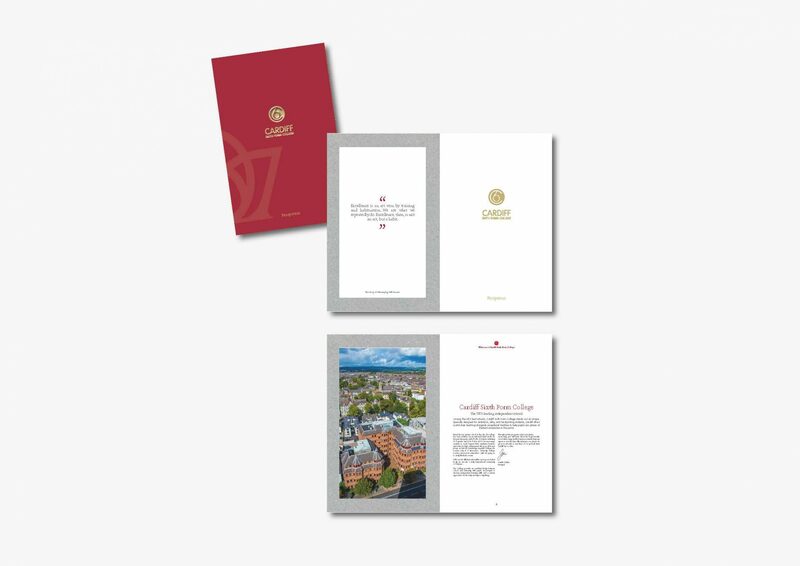 This needed to be communicated both as the single Dukes Group as an entity and the individual constituent colleges, through developing an integrated pack of brochures, absorbing existing materials attractively, and producing new ones to complement, enabling the portfolio to be represented in an effective way. 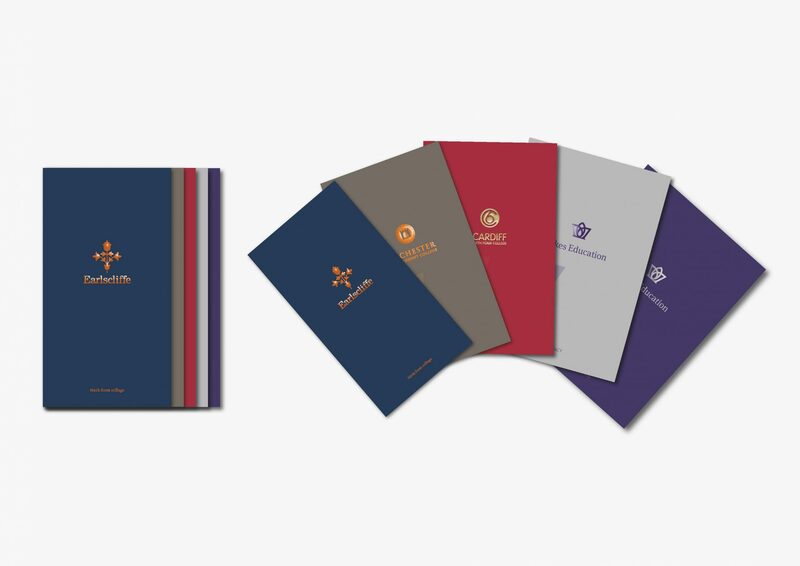 How to create a fully integrated look and feel without re branding the group or the individual schools? 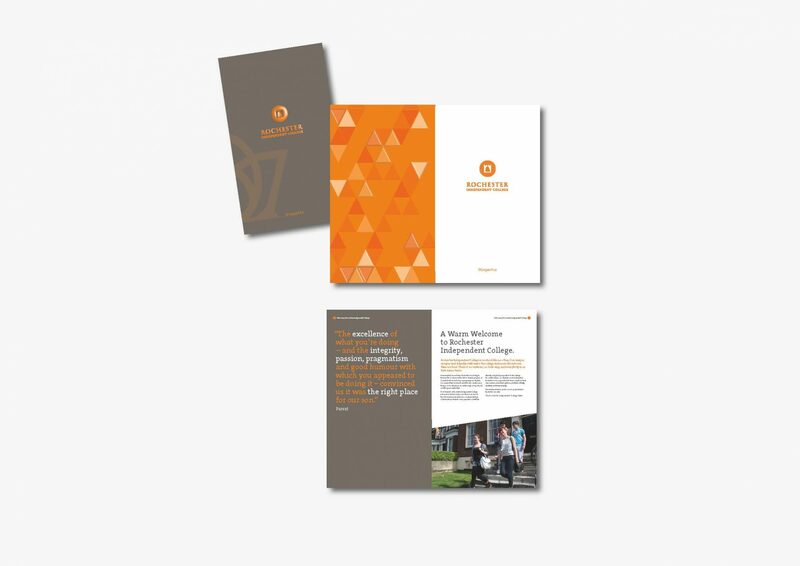 And to integrate an existing prospectus! Common elements were identified and unified. 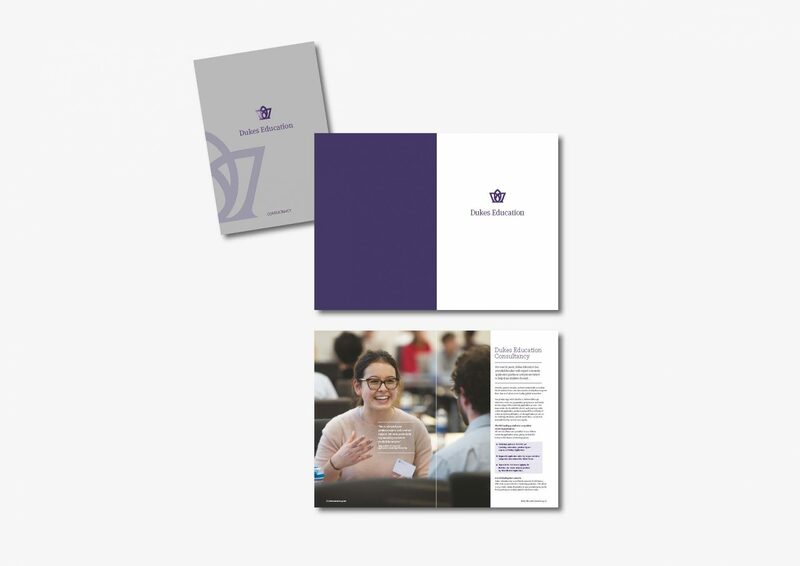 A Dukes wrap around folder communicating core positions and values contains the five prospectuses, staggered in size to feature and index. 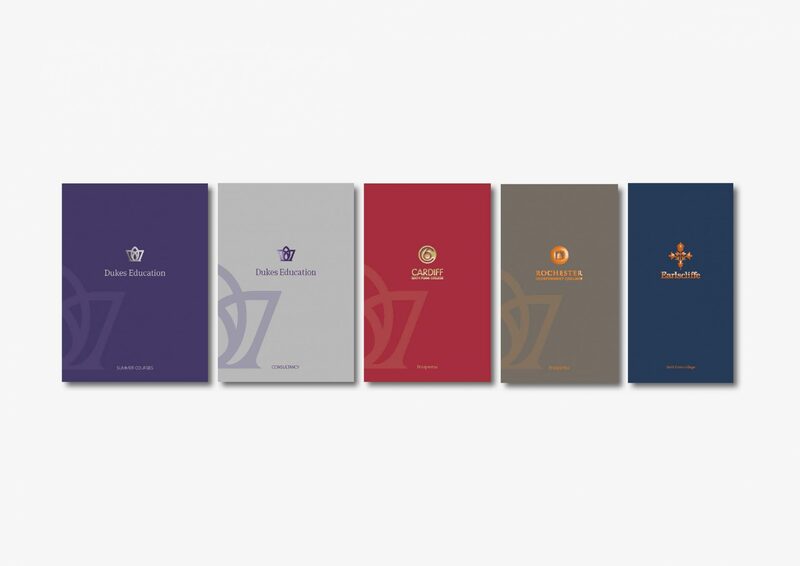 Uncoated stocks and foil blocking reflected each individual brand identity whilst creating a considered and stylish consistent look and feel.